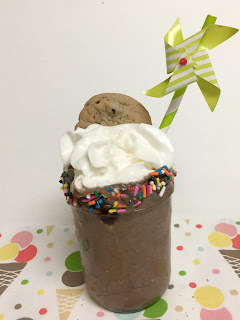 #Choctoberfest is in full swing over here on Cookaholic Wife! If you missed yesterday’s post, I found the best way to combine your morning coffee AND a filling breakfast. Some people think that when you chose or are forced to go dairy free it means you miss out on a lot of sweets. While in some cases that’s true, I’ve quickly found that if I’m okay with substituting a smoothie for a milkshake I can still add in tons of delicious flavors. I opted to call this a smoothie versus a milkshake because its much thinner without the thickening agents of the ice cream and milk. 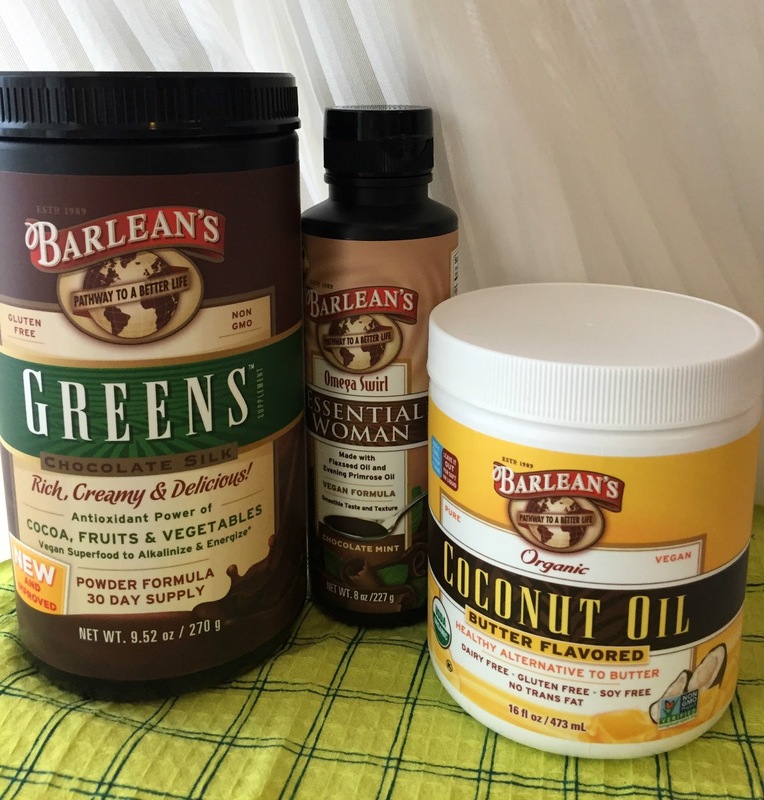 Another sponsor for #Choctoberfest is Barlean’s who has a hug variety of awesome, healthy products. Disclaimer: I received Barlean’s Chocolate Silk Greens, Essential Woman Omega Swirl Chocolate Mint Flavor and Butter Flavored Coconut Oil for free to use as part of #Choctoberfest. All opinions and thoughts are my own. If you have a chocolate craving or an intense sweet tooth, this smoothie is going to satisfy both! 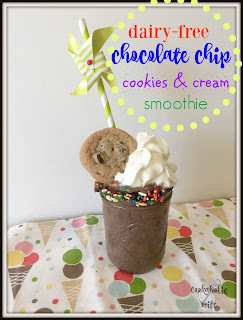 And it’s so super easy to make! 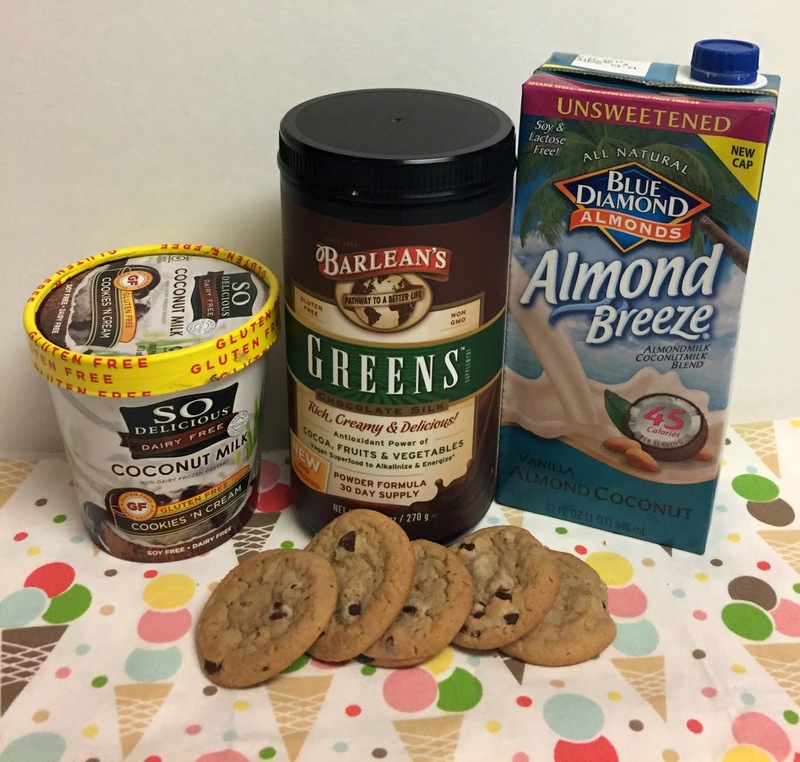 Dairy-free cookies and cream ice cream is blended up into a smoothie. 1. 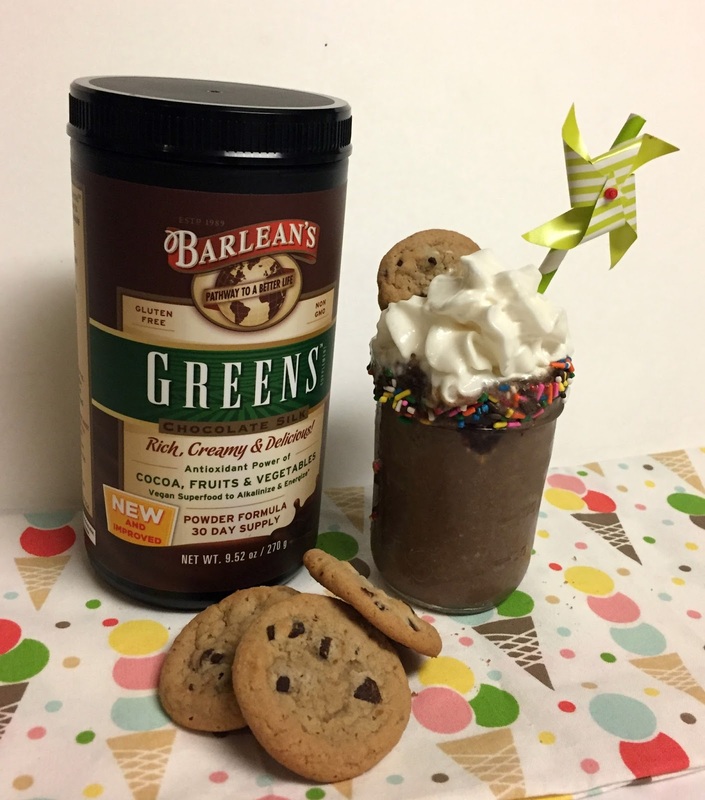 Combine the almond milk, Barlean’s Chocolate Silk greens, ice cream and 4 cookies together in a blender. Blend until fully combined. 2. Pour chocolate sauce on a plate and swirl the rims of two glasses through it. 3. 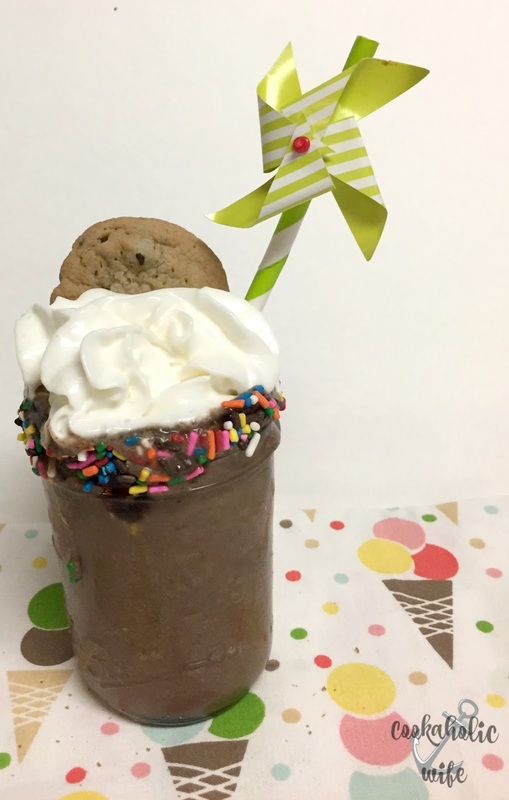 Pour sprinkles on a plate and swirl the chocolate coated glasses through them, creating a candy crust. 4. 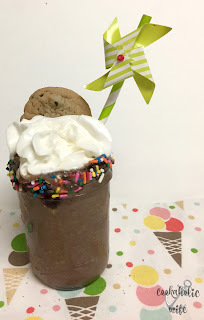 Pour the blended mixture into the glass, top with a dollop of whipped cream and a cookie. See what the other #Choctoberfest bloggers made!